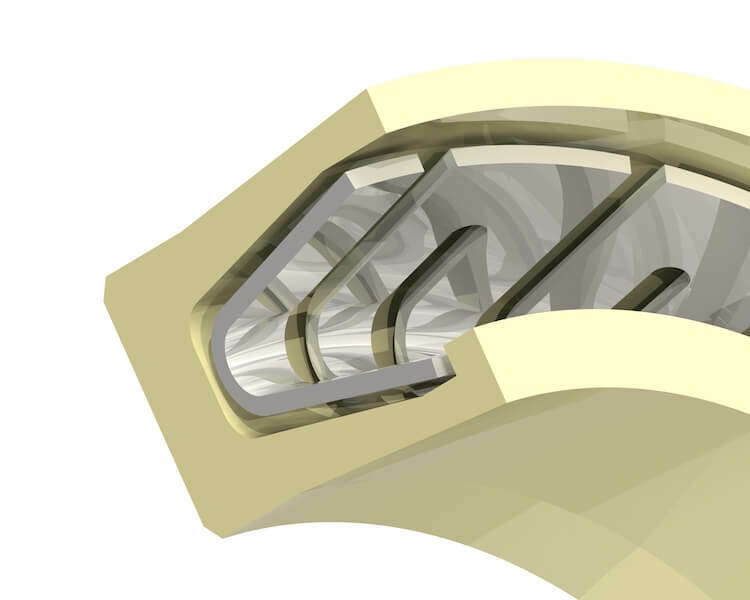 When designing seals using materials such as PEEK, special consideration regarding flexibility and seal design must be taken into consideration. Materials like PEEK are often used in sealing applications in Gamma radiation environments, as PEEK provides good radiation resistance along with temperatures up to 500F. Certain high-pressure situations don’t always have the right amount of space to allow for a Backup Ring. In this case, the higher modulus properties of PEEK are often used. These higher modulus polymers are often used in very high pressures (in excess of 10,000 PSI) with elevated temperatures. High Modulus materials like PEEK or Torlon lend themselves to shapes that can be held to very tight tolerances and various profiles that don’t need to be round. Split piston rings with milled faces that allow the ends to overlap and create a seal are available in various sizes. As another example, high modulus plastics can be used for retention snap rings in applications where metal to metal contact might damage sealing surfaces during installation. 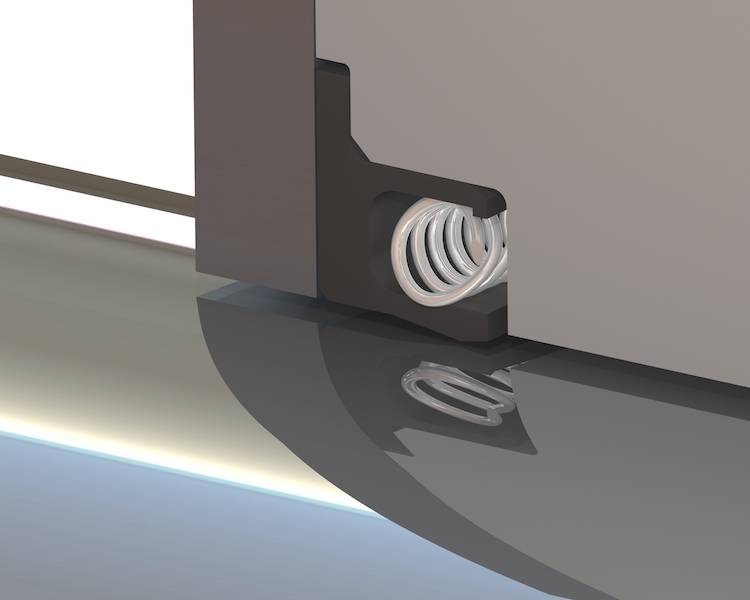 Machined snap rings where retention is required but metal to metal contact of a snap ring could damage a sealing surface during installation is another example. PAI or Torlon® is a consideration when temperatures exceed 500 F. PAI has been used under the hood as a direct replacement for many metal components on cars. And when temperatures exceed 700F, PI or polyimides are available to fill the Polymer gap with temperature with excursions up to 900 degrees Fahrenheit. 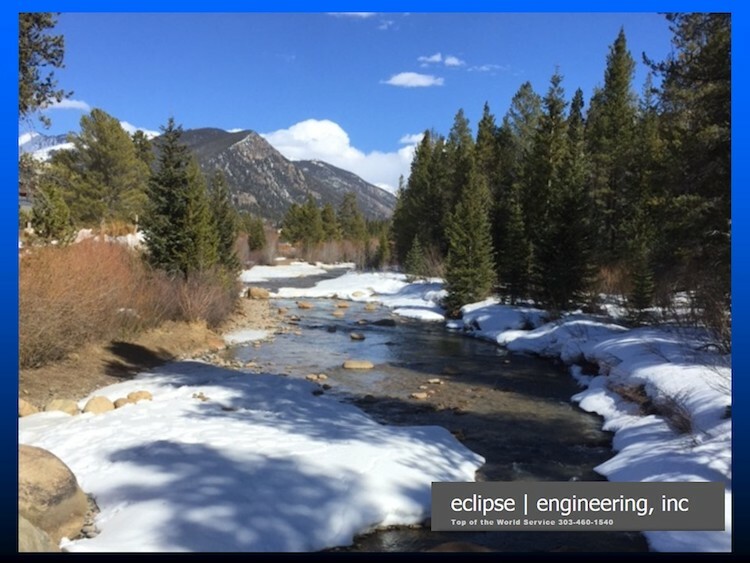 Eclipse has been machining from all these materials into a variety of housings that allow valves to operate smoothly in very harsh chemical environments. Very small (O.D. 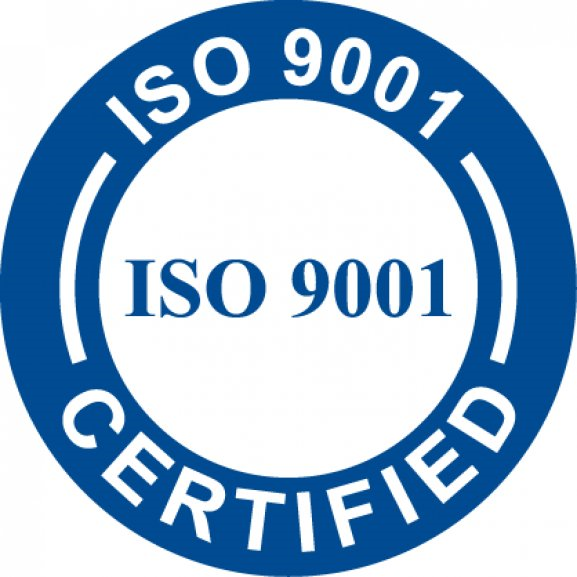 under .050) pins used in medical instrumentation, and specialty seals in excess of 16 inches where special porting through the seal with notches, holes, angle cuts or split rings used in Natural Gas transmission lines, are machined to tolerances of +/-.002 even up to 15 inches in diameter. Some of these materials are FDA compliant, and will normally handle very broad temperature swings. They’re also extremely light weight in comparison to their metallic counterparts. These materials normally include fillers that improve physical properties allowing for even higher stresses, extending their useful load carrying capability when faced with higher loads. As polymers, they’re easily machined so intricate shapes at extremely small diameters are possible. They often machine similar to steel so installing grooves for snap rings to hold seals allows entire rod ends to be machined from polymers. These materials can be threaded for locking purposes, and notches installed for indexing into hardware if required. When designing with polymers, we normally start with materials like Acetal (Delrin®) or Nylon, and review the environment the materials will be working in. Conditions that will drive the use of PEEK, Torlon, or Vespel over some of these common materials are, temperature, chemical resistance, radiation resistance, friction, and strength of the material. When utilizing these polymers, cost is always an important factor. Plus, the need for small lot production vs. high volume and the complexity of the shape or seal may dictate the type of material applied. Can the polymer be injection molded, or does it need to be compression molded? Each of these different processes change the overall physical properties of the parent material. Friction in dynamic applications can also be a major factor in material selection. Some materials accept fillers easier than others and the consideration of these fillers directly impacts physical properties like friction and strength of material. Availability generally plays more of a role in the development phase as parts are typically machined vs paying for tooling for a trial mold. There can be a question regarding the performance of the way the raw materials are processed for machining vs the same part compression or injection molded. For example, the ductility of the material can be affected by these different processes. To this point we’ve limited our discussion to materials that top out at 900 F. But what’s the next step for materials reaching 1500 degrees Fahrenheit? Carbon and Ceramics while not nearly as friendly to work with as polymers, are available for extended service above 1000 degrees Fahrenheit. Some complex shapes can be machined, but not with nearly the flexibility we have with polymers. Carbon is typically used for faces in mechanical face seals. 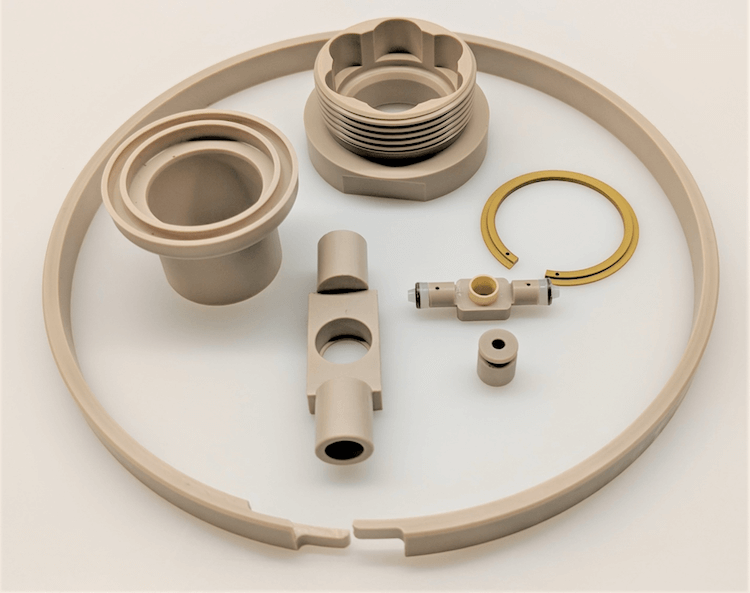 Ceramic is often seen as a seal and valve guide, and while not nearly as tight a seal, can be held to tight tolerances limiting the leakage in a labyrinth situation, while also providing guidance on a moving valve. The world of High Modulus polymers offers the designer a wide variety of choices in dealing with conditions or shapes that are not as friendly or cost effective for metallic housings or seals.